The search for Jayme Closs ended Thursday when she was found alive in northwest Wisconsin. GORDON, Wis. — After more than three months of searching, missing Wisconsin teenager Jayme Closs has been found alive. Closs was found in a small development near Gordon, Wisconsin, about an hour north of her home in Barron. Here's a timeline of what happened from the day she went missing in Oct. 2018 to now. Barron County dispatchers receive a 911 call around 1 a.m. from a home on the 1200 block of Highway 8, just outside of the town of Barron. Deputies arrive on scene to find two adults dead inside. A 13-year-old girl identified as Jayme Closs was not found in the residence and is considered missing and endangered. Around 3:30 p.m., authorities declare a nationwide AMBER Alert for Jayme Closs. Later on, the Barron County Sheriff's identifies the deceased as Jayme's parents, 56-year-old James Closs and his 46-year-old wife Denise Closs. Barron County Sheriff Chris Fitzgerald says during a press conference that the medical examiner has ruled the deaths of Denise and James Closs a homicide. He also says it is believed that Jayme Closs was present at the time of their deaths and is in danger. The Barron County sheriff requests 100 volunteers to help in a "routine search for articles of evidentiary value." No clues are found. The dispatch log is released, revealing new clues about the Closs case. The log shows the 911 call was made from Denise Closs' cell phone around 1 a.m. on Oct. 15. The call seemed to signal distressed, but no one spoke directly to the dispatcher. The log also says the door of the Closs home had been kicked in. 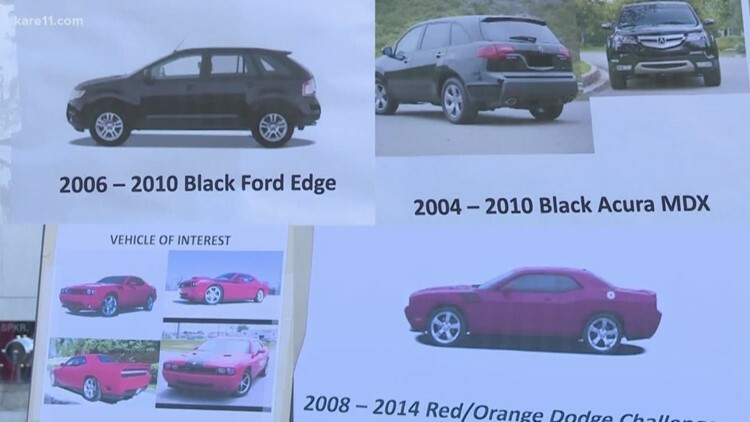 The Barron County Sheriff's Department releases photos of two vehicles of interest in the search for 13-year-old Jayme Closs. After days of searching by more than 2,000 volunteers, Jayme is still missing and no clues are found as to where she is. During a press conference, Jayme's family pleads for information leading to her return. The community of Barron, Wisconsin holds a "Gathering of Hope" to console one another and pray for Jayme's safe return. The funeral for James and Denise Closs is held in Cameron, Wisconsin as the search for Jayme continues. Jennie-O Turkey Store, the Closs' employer, announces it's contributing $25,000 to the reward money for Jayme's safe return. At this point, the Barron County Sheriff's Department says it's received over 1,900 tips in regards to Jayme's disappearance. One month after Jayme's disappearance, her family members give their first interview to share how they are grieving. Jeff Closs and Kelly Engelhardt, the siblings of James Closs, tell KARE 11 it's hard for the family to move forward because they're still waiting for Jayme to come home. Chris Kroeze, a Barron native and contestant on The Voice, gives Jayme's case renewed national attention when he dedicates his performance on the show of "Let It Be" to her and the Barron community. 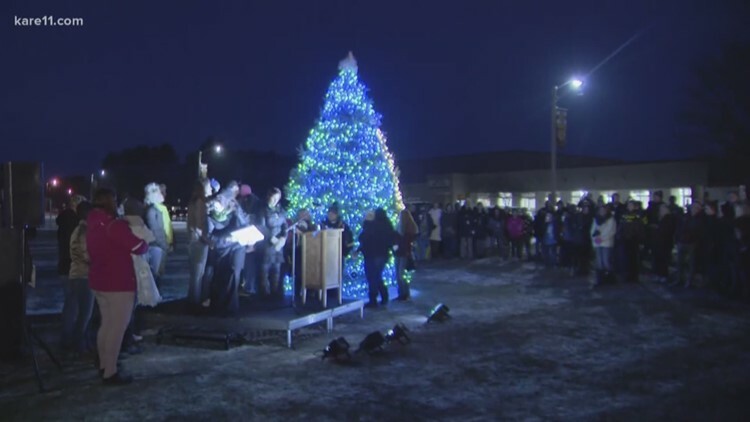 Nearly two months after her disappearance, the Barron community once again comes together to keep hope alive for Jayme's safe return, this time lighting a "Tree of Hope" for the holidays. The Closs family speaks to the community and thanks them for their support. The Barron County Sheriff's Department continues to look into potential Jayme sightings, and though they are unfounded, he says he still believes she is alive. After three months, Jayme is found alive in Gordon, Wisconsin, about an hour north of her home in Barron. She is found in a small development called Eau Claire Acres about six miles east of Gordon, Wisconsin on Highway Y. KARE 11 spoke with the neighbor who called 911. More information is expected to be released on Friday, Jan. 11.